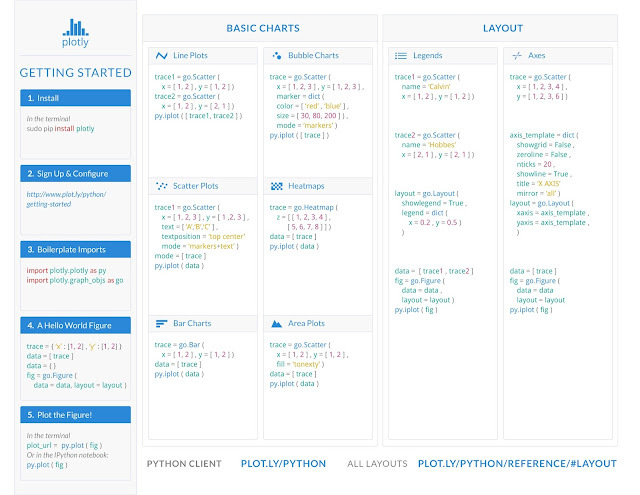 Plot.ly came to DNA seeking a refresh of four cheatsheet's for developers to reference to aid them visualize data. As in most cases our clients need help not only creating an aesthetically pleasing graphic, but with the organization of information to display it in a coherent way to the end user. What they currently had in place was this. Serviceable, but I think we could do better. 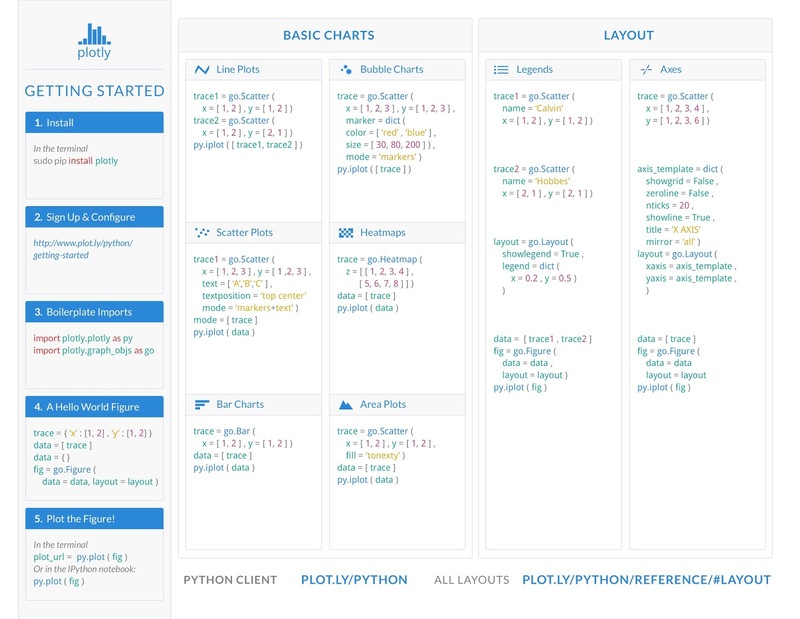 After a quick consultation and understanding Plot.ly's brand & core objective we were able to piece together a graphic that intelligently laid out the information in an easy to understand format. Drawing the end users eye to the left panel to follow the start up steps before diving into the main content of the cheatsheet helped onboard users. The result? Plot.ly loved the graphic so much that they sent it out to their Twitter followers where they received over 20 retweets & 60 likes in 24hrs. Speaking of, if you're active in the twitterverse follow us at @dnaimagery and say hi! We placed the graph itself in a wrapper with a white background because we all know that higher contrast draws the human eye and the graph is what is the most important piece of the puzzle here. By pushing the menu across horizontally we were able to create a balanced header bar that didn't feel crammed in the corner. We also took "Time" out of a drop down menu and turned it into a switch since there was only 2 options to ease the end user experience by making the options more accessible. 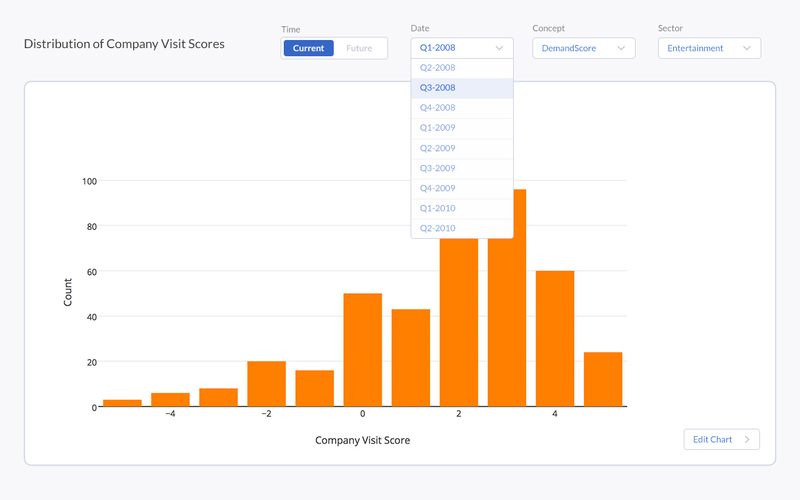 We did not change the color of the graph bars because Plot.ly's core color is blue & the warm orange has great contrast against the cool blue to make sure that the most important information pops out at the end user. Putting UI & UX best practices use goes a long way in making an enjoyable experience for your users.